I would like to tell you a bit about the Global Neighbors work trip to Mae Sot Thailand I was on before Christmas. I have had a lifelong desire to see Burma. 2015 was the year I could finally go. Everyone who participated was already a supporter of GN in one way or another, either financially or as a director of the organization. There were 19 people on the trip, all of whom paid their own way. 8 are architecture students at Saskatchewan Polytechnic in Moose Jaw, plus an instructor of theirs, and 10 of us from Prince Albert who are “not quite as young” as the students. Ten of the group were returnees and the core group had been there 6+ times and were extremely experienced. I cannot guess how many times Dave and Heather Heppner have been there. The returnees served as our guides and drivers. Our entire trip lasted 2 weeks, which with travel meant we were really in the thick of it for 8 or 9 days. 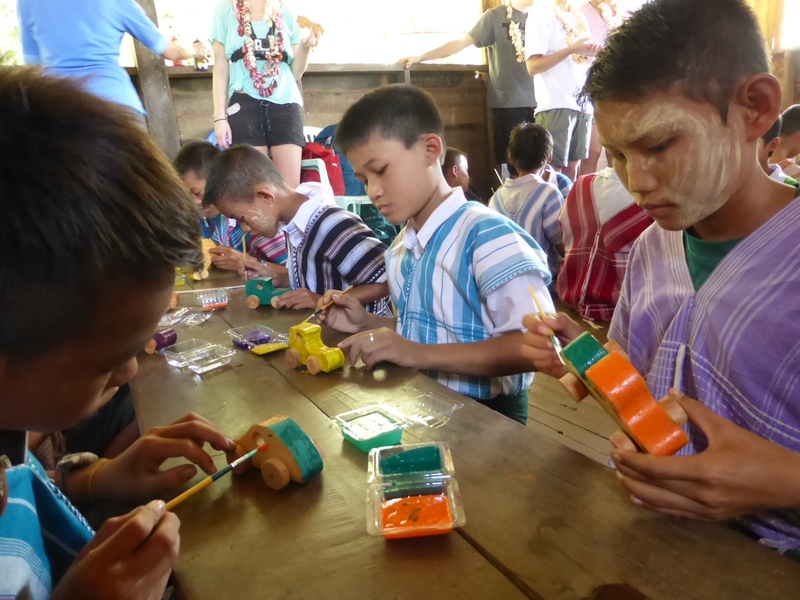 Although GN is a Prince Albert based charity, all the work it does is for Burmese people in Burma and Thailand. In 2008 GN was able to purchase 50+ acres of land on the outskirts of Mae Sot, Thailand to give them a local base of operations, which is called the “farm”. Mae Sot is a Thai city right on the Burmese border in north eastern Thailand. There are several refugee camps in the district, populated by several hundred thousand Burmese people displaced by the multi decade civil war in Burma. Thus Mae Sot has become a key location for assisting Burmese people, both in Thailand and in Burma. Enough of the background, I really want to talk about what all we were able to do while there. The first morning we knew we had to unload a 45’ sea can container shipped from BC. It was absolutely stuffed with everything from medical supplies, dried food, clothing, furniture, medical equipment, wheelchairs, tools, to bicycles. Located at the farm is GN’s office and warehouse, teaching college and dormitory and a safe house for at risk girls, run by a Pilipino charity. Along with several of the teaching college students we unloaded the container in a few hours and put the supplies into the warehouse. One goal was give away all the supplies by the time we left and we pretty much did. Many mornings the day began with a 7 am trip to the warehouse to load a couple of pickup trucks 10 feet high with supplies. A variety of Mae Sot based refugee charities rely on GN to resupply them with things like children’s clothing, needles and bandages, plus food and perhaps wheelchairs or a bicycle. I learnt to appreciate this when an Italian doctor from a local charity was in for medical supplies. The fact we could give her 2 bicycles was a big deal, because it meant her 2 staff could ride to and from work instead of walking, and be more productive to her. The rest of the time there was an exciting blur. A typical day included a morning visit just across the border into Burma to visit a school or orphanage that GN had earlier built. We would distribute some supplies to them, see how they were progressing and give them encouragement. In the afternoon we might visit a school or orphanage in a refugee camp that GN had helped build, and provide them some supplies. Typically the students would perform an ethnic folk song for us and we would engage in talks. The day might conclude with a visit to the teachers college or the at risk girls home at the farm. There we would be treated to a meal of Burmese food and often the highlight was breaking into groups for discussions of our respective countries and homes. They were long and exciting days. Around these visits we worked on converting a 20’ sea can into the power center for a new teaching hospital. It needed to be insulated and sheeted inside so it could hold the electrical switches and batteries that control the solar panels and generator for the hospital project. This is quite the idea – how to power a hospital that is in an area which, like most of Burma, which has no power grid at all. Volunteer electricians from Prince Albert will be there soon to finish the installation. One highlight for me was a visit to the teaching hospital being built by GN approximately 50 km into Burma, along with jeeps full of soldiers and the generals of 2 local armies. This project seemed to have created a real buzz among the locals because of GN’s ability to make it happen in a very complicated place to provide aid. We also visited a school nearby that had trainee teachers from the teachers college at the GN farm. It was the first time these children had met a westerner. Another unforgettable trip was an overnight visit to a remote village in Burma, sleeping under a net on a bamboo platform, and unfortunately overtop of a rooster. You could really experience their life. The next morning we attended the grand opening of a GN funded medical clinic in this region. It will serve 5000 people and many of them were at the opening. For people who have never had even the most basic access to medicine or care beyond animist healers this is life changing and they knew it. Everyone from the head monk to the local army leader to the village headmen was there addressing the crowd and exhorting the people to use the clinic and help their families. GN’s model is to build or provide facilities for schools, orphanages and medical facilities where they feel that there is a committed group of residents who can successfully operate it. GN does not want to be in the role of operator because success is dependent on community involvement and operation. As a poorer region in one of the world’s poorest countries, eastern Burma’s residents have almost no resources to build facilities. It is an agrarian based barter type economy where family wealth is measured in chickens and goats. We saw thatched roof schools where GN had provided them cement that allowed a proper floor and kept the rain out and made a significant difference for their school. What amazed me was to get a glimpse of the efforts that Dave had to put in to lay the groundwork to ensure the success of each of its projects over the years. They are dealing with people who were living in a war zone, or were in Thailand to avoid war. Yet they have been able to identify places with great need and committed locals who have made these projects flourish. Often there are negotiations to make this happen because there are many competing authorities. Everywhere we went Dave was continually identifying and meeting key locals to gain their support. I had no idea of the number of projects GN has been involved with in the 10 years they have operated. But when you see 2 or 3 a day, every day, you start to appreciate this. When you meet 200 healthy looking and friendly orphans in a nice facility smack dab in the middle of a refugee camp of 50,000, and an adjoining equally successful high school with 600 students who previously had no school, you know it wasn’t easy to establish and it is a very tough environment to thrive in. It was my first time in a refugee camp and they are not where you want to live, so it leads you to wonder how bad it must have been where they came from. 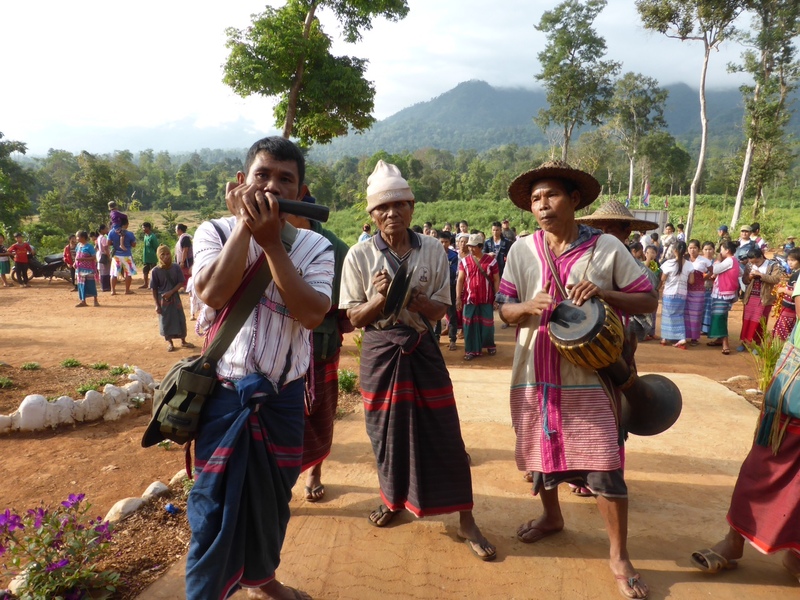 The other success of GN is in providing common ground for the various Burmese groups. These people have been at war for decades, both with the main Burmese government and with other ethnic groups. In the case of the hospital project we visited, the 2 generals with us were at war only months ago prior to a recent peace, but they were able travel with us and eat together at the hospital and the school. The teachers college was another great example. GN built the school and dormitory at the farm. It instructs teachers from all the regions of Burma so that schools have proper teachers rather than an advanced school student serving as teacher. On our visit there were 10 ethnic Burmese groups represented in the college. These students spend a year living and learning together and very likely making cross ethnic friendships that previously were impossible to have. Hopefully these small acts will inspire the new generation to work together, particularly if the transition to democracy proceeds and is to succeed. All in all it was the trip of a lifetime for me, and I thought I had already accomplished that once or twice before. Being able to see such substantial progress being made a project at a time is most rewarding, and for this I applaud everyone in Global neighbors. It is a small group with a very large impact, in an area that desperately needs it. Furthermore the local people seem to be able to take the help and make the most of it. I suspect that watching these successes occur is the reward which drives GN to continue forward, because it takes tremendous dedication to do what they are accomplishing. This entry was posted in 2015 Work Tours, Testimonials, The GNCI Blog. Bookmark the permalink.